Are you a fan of blockbusters? 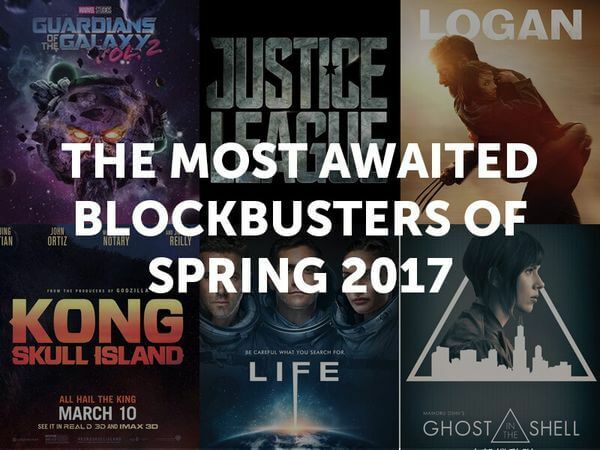 Want to know which big movies are awaiting you in spring 2017? Here are several movies which are going to make a splash this March. This movie follows Deadpool by being R-rated. Some rumors suggest this movie will be based on the the Old Man Logan comic book, and the cast includes such famous actors as Stephen Merchant, Sir Patrick Stewart, Richard E. Grant, and others. No one had believed that the Planet Of The Apes franchise could greatly rediscover this movie’s commercial potency until 2011, when the Rise Of The Planet Of The Apes restarted series with similar style. Kong: Skull Island is not necessarily the prequel many people are waiting for, but what if it is done in the right way? The cast includes Tom Hiddleston, Samuel L Jackson, Corey Hawkins, and others. The title roles of this beautiful fairy-tale are taken by Emma Watson and Dan Stevens, but the supporting characters also are awesome – Ewan McGregor, Emma Thompson, Kevin Kline, Luke Evans, and others. We are waiting to watch this big hit as soon as it is released. The new King Arthur is Charlie Hunnam, who has a plan to make up six movies of the series. The first movie is helmed by Guy Ritchie. The cast includes famous faces like Freddie Fox, Aidan Gillen, Astrid Berges-Frisbey, Djimon Hounsou, and others. Lionsgate is going to make a release of half a dozen Power Rangers movies if this reboot succeeds. The movie is directed by Dean Israelite. The most known actress in the cast is Elizabeth Banks. This movie is a kind of gamble, a huge one. Ghost in the Shell anime has been talked over for many years, but eventually, Disney and DreamWorks have undertaken it. The main roles are played by Scarlett Johansson and Rupert Sanders. Besides, in the cast, there are Juliette Binoche, Michael Pitt, Rila Fukushima, and others.